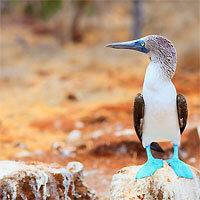 Best of Ecuador and The Galapagos! Start your journey at Guayaquil, the main port of the Ecuador and the most populous city in the country. Up next take your flight to San Cristobal Island, the easternmost of the islands in the Archipelago and the oldest one referring to geological. Then, you will take the public speedboat to Santa Cruz Island, the second largest island of the Galapagos and the most populated urban center in the islands. After enjoying the main island, take the public speedboat to Isabela Island, famous for its geology but also provides an interesting display of fauna and flora. Lastly, take your flight to Quito, the capital city of Ecuador. Quito and the Galapagos! Fly to Quito and enjoy history, colonial sites and cultural heritage. 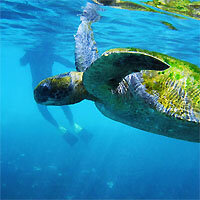 Then, fly to Santa Cruz Island, located in the Galapagos. This is the most populated island and the tourist hub. Perfect place to spot marine iguanas, birds, crabs, turtles and innumerous animal species. Visit Ecuador's main cities! Fly to Quito and enjoy history, colonial sites and cultural heritage. 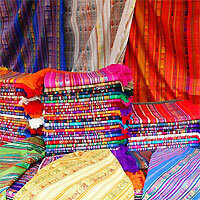 Continue to Cuenca a city that fuses culture, nature and tradition. One of the best ways to explore this city is walking through the narrow cobbled streets full of history. Finish this trip in Guayaquil the main port of the Ecuador and the most populous city in the country. This is a flexible package with daily departures from anywhere in the USA or Canada. Choose your length of stay and add/pick your tours. Book your space now! 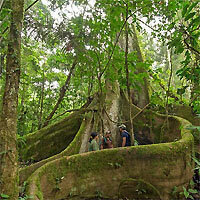 Visit the Ecuatorian Rainforest! 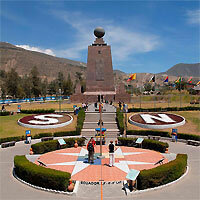 First, fly to Quito and enjoy history, colonial sites and cultural heritage. Continue to Coca-Amazon, where you will arrive at the airport in Coca, and be transfered by ground to you choosen Lodge. 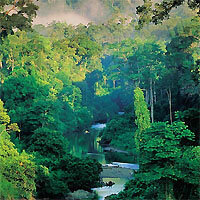 The Ecuadorian Amazon Rainforest is mainly tropical rainforest located in the eastern lowlands of Ecuador. Your stay at the lodge will be very rewarding, where you will spend 3 nights and enjoy plenty of activities with guides that will help you learn and ensure that you really get to see some amazing things like different animal species or unspoiled nature. Fly back to Quito, and spend a night to enjoy more time the splendors of the city before heading back home. 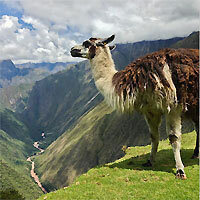 Combine the best of Peru and Ecuador with flights between cities. Friday departures from anywhere in the USA or Canada. 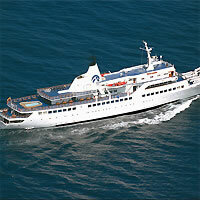 Tours and meals aboard your cruise are included. Book your Vacation in Ecuador now! Ecuador visitors favorite! Enjoy history, colonial sites and cultural heritage in Quito, the country's capital and gateway for an unforgettable 3-night Galapagos Cruise on-board the M/V Galapagos Legend designed specifically for cruising the Galapagos Islands, it offers all the amenities of a larger cruise liner yet still has the intimate feel of family-style cruising. This fantastic cruise will take you to many islands where you will the opportunity to dive among its reefs and underwater caves, swim with sea lions, float with a penguin, stand next to a blue-footed booby, watch the famous Galapagos giant tortoises and try to dodge the land iguanas scurrying over the lava! Finish this journey with a night in Quito before heading back home. Saturday departures from anywhere in the USA or Canada. Tours and meals aboard your cruise are included. Book your Vacation in Ecuador now! Combine the best of Colombia and Ecuador! Isamar hotel on Isla Isabela was great!!! Great experience, terrific hotels, all companies and carriers magically knew we were coming! All great! Everything went smoothly and just as planned. This is the second time that I have used TripMasters, and they are great!